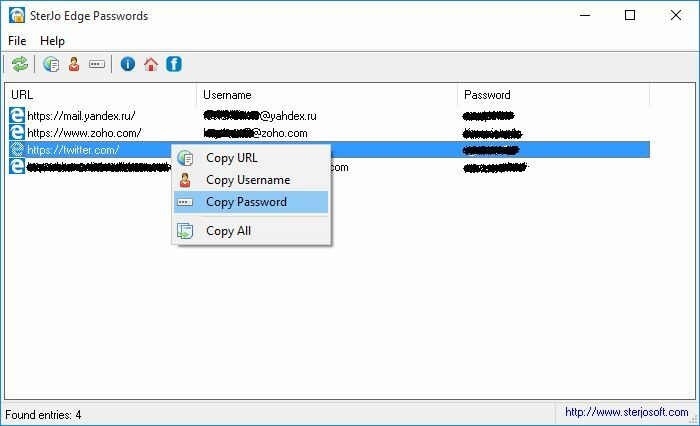 SterJo Edge Passwords is a tool that can recover login credentials saved by Microsoft's Edge browser. It works with Windows 10 where Edge has been installed by default. It will automatically recover login usernames and passwords when it is run. NOTE: This portable version doesn't include an installer.